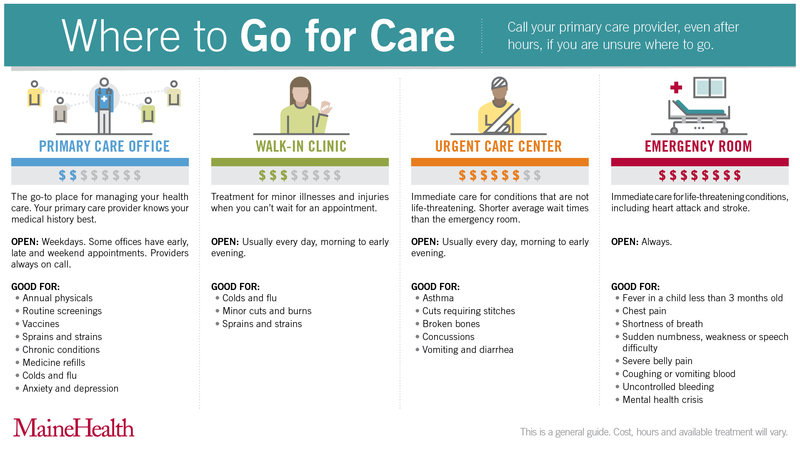 Our "Where to Go for Care" infographic is designed to help patients identify appropriate sites of care based on cost, convenience and medical condition. MaineHealth ACO participants are encouraged to display the infographic in the practice setting and include it in patient materials. The infographic content has been vetted by clinicians, administrators, patients, and communications professionals across the MaineHealth system. It is a component of REDUCE, a MaineHealth ACO-led initiative to reduce avoidable emergency department utilization.